No matter the project or technology behind them, we can agree on one thing - we have had an intense year in cryptocurrency. Amongst other things, what stood out to everyone was how much innovation took place. Hundreds of cryptocurrencies came into existence, bringing with them new ideas, possibilities and directions for blockchain technology. It was exciting to imagine the future through their vision. Anyone, who kept even the slightest bit of a headache, was able to see what was going on. Now, more than half a year later, we see that clearly, in hindsight for all too many. With our purses now guarded in the bear market, everyone is waiting for their investment to walk their talk instead. But ICOs are running into a major problem that has been expecting already a long time ago. Namely, while ICOs are borned great ideas, they do not yet have stable structures in place to realize them. The majority had only the vision, but nothing to show for. They are likely to struggle to find qualified employees, not only to mention the building idea. Older projects, with years of experience, and most of all, working with blockchains are in the prime position to select from the best of new ideas and their own projects. CLOAK has been around since 2014. It’s a cryptocurrency designed to facilitate private, secure and untraceable transfers by using Enigma, which is a secure and decentralized off-blockchain mixing service. CLOAK is built on Proof of Stake algorithm— which also means it pays a generous interest to its holders of 6 % annually. 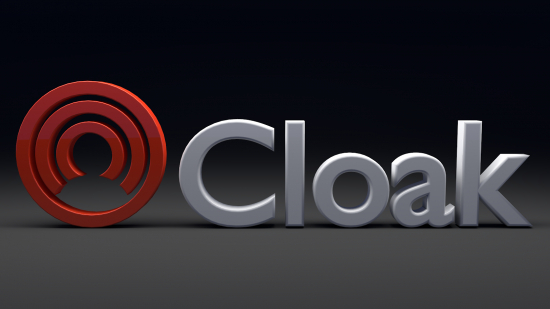 The team behind CLOAK has been busily working on improving themselves since inception. It was a closed-source project at the start, due to which it went under the radar for investors. But on New Year’s Eve 2017, the team released their code, on which they’d been working on behind the scenes for over 3 years (see their Github). Today, CLOAK is releasing an important new wallet update for Linux and Raspberry Pi (aarch64), that brings various fixes and improvements, including fixing flaws detected and explained in a security audit by Cognosec. The windows wallet will follow very soon. CLOAK independently sought to be audited by the cyber-security firm and the suggested security improvements have been addressed in both CLOAK Evolution and its current update CLOAK rEVOLUTION. In addition to an easy to use UI, the official CLOAK wallet provides users with anonymous stealth addresses and a fast connection to their blockchain. In fact, by doing smart things with big numbers, the current update brings 20% faster blockchain index loading time and 30–50% increase in speed performance for syncing blocks. Looking at huge privacy scandals of recent, privacy is likely to make a comeback. The public roastic Facebook went through is a great example of the public becoming more aware. In this case, privacy-driven projects are quite strong and serve an important role in empowering citizens in the maintenance of civil liberty in a democratic system. A closer look at Roadmap reveals new development such as Atomic Swaps and light, hardware, mobile and Electrum web wallets.